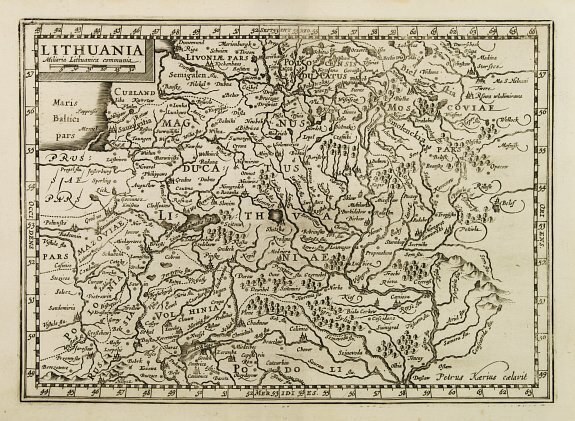 Description :Early map of Lithuania. No text on verso. Engraved by Petrus Kaerius. Condition : Some slight discolouration at the center of the map. Else good condition.